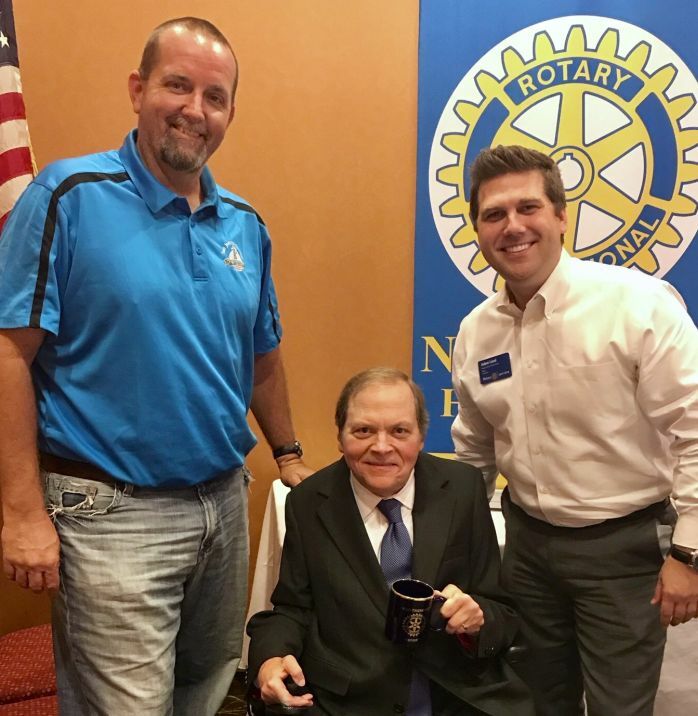 Pictured with me are Shawn Silman and Adam Lund, Club President and Vice-President of Capital Bank (Jacinto City). So grateful to have been asked by Shawn Silman, Member of North Shore Rotary Club and Dean of Liberal Arts at San Jacinto College-North Campus, to speak to the Club on Thursday, September 7, 2017. Despite the effects of Hurricane Harvey, there was a large turnout at the luncheon to hear my remarks. I congratulated the Club on Rotary’s efforts to eradicate polio around the globe. I told the group that I was a victim of a flood at age six by contracting polio in floodwaters. As I have written in Bending Angels, there is always a light in the darkness. What followed the darkness of polio, the flood and now Harvey are the best qualities within our common humanity. Praise be to God, this Club’s members and all those in this area who have stepped up to rescue, support and help those in need. I shared how the lessons I learned in dark times led me to be a collaborative divorce and family lawyer. Collaborative process works because it protects privacy, preserves important relationships, allows couples to fashion their own outcomes with the support of professionals in communication, parenting and finance and does not let the outcome be decided by the attorneys, the courts or juries. At Gray Reed and McGraw, LLP, our Firm is dedicated to offering the collaborative law resolution process to those who choose to use it.